Within this tutorial, again I will show you how to setup Voice Changer Software Diamond to work with Zello to change your voice in real-time over Zello voice chat session. Zello is an push-to-talk (PTT) walkie-talkie application for consumers and business and available for Android, iOS, Blackberry, Windows Phone, Windows PC, rugged mobile devices and two-way radios. Zello is free for personal use. Any edition (?) 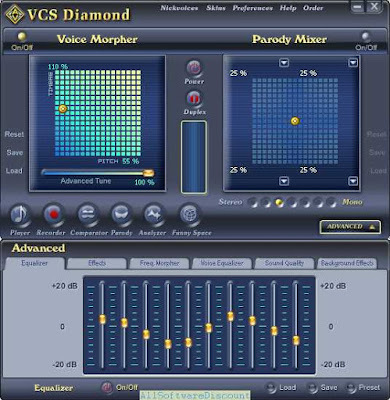 of Voice Changer Software 7.0 or above. Free download trial version from here. Great offer from Audio4fun to save up to 40% when upgrading to PRO version . Latest version of Zello downloaded & installed. A good headphone is highly recommended for the voice chat session. As always, the first thing to do is to mix Pitch, Timbre, Advance Tune and may also voice effects to create a different voice. Below articles that would be in help in case you want to morph and change your voice to a certain sci-fi character. How To Talk Like Darth Vader (Star War Movies) In 60 Seconds. Open Zello and go to Tools menu, select Options to open Zello's Options dialog box. 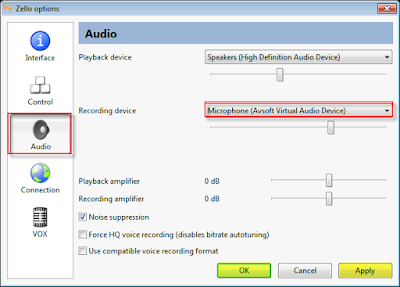 Then, via Zello Options dialog box, select Audio tab. 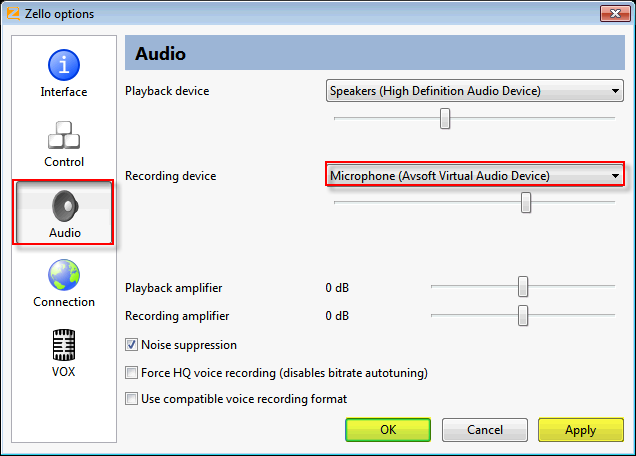 In Audio settings tab, select Microphone (Avsoft Virtual Audio Device) for Recording device option. 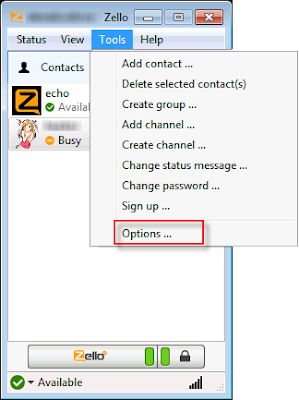 Click OK to apply settings and close the Zello's Options dialog box. 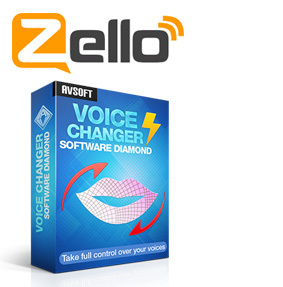 Buy Full version of the Zello voice changing program (AV Voice Changer Software Diamond 9.5 now!